I am constantly trying something "new" with my look. 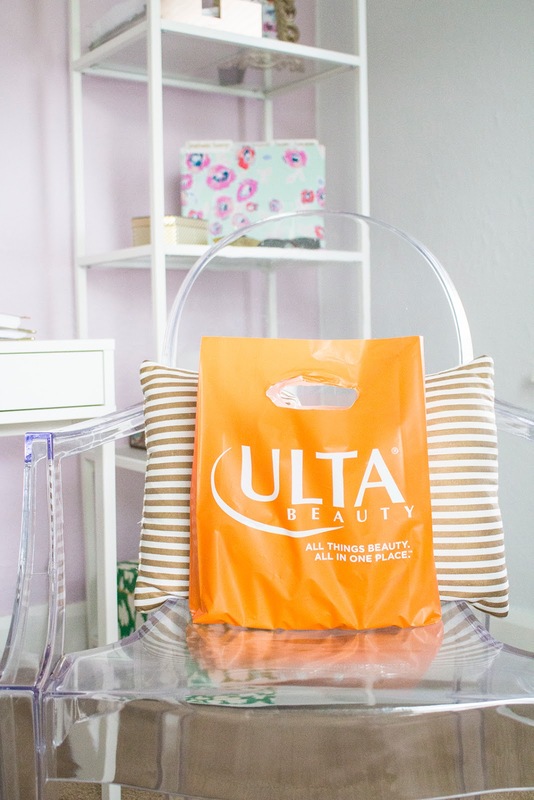 Whether it be a new trend, hair cut, lipstick, or nail polish. 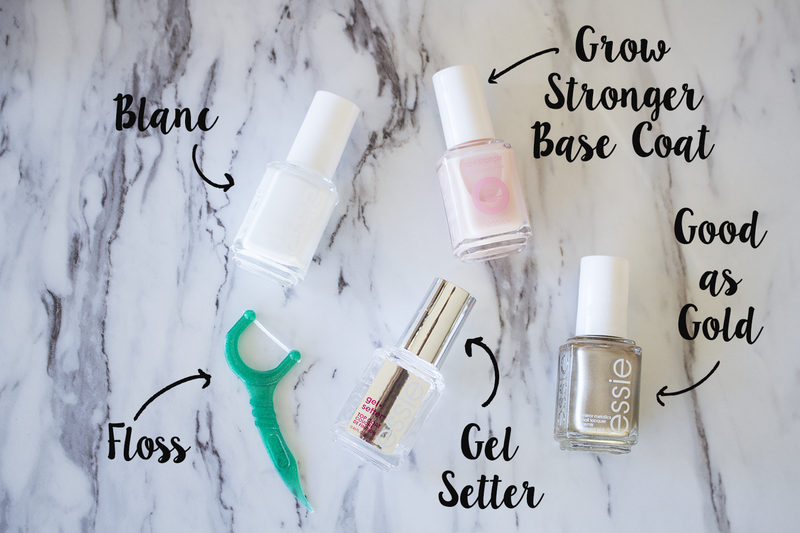 Last week, I posted my go-to manicure that I always lean towards (although I mix up the color scheme). 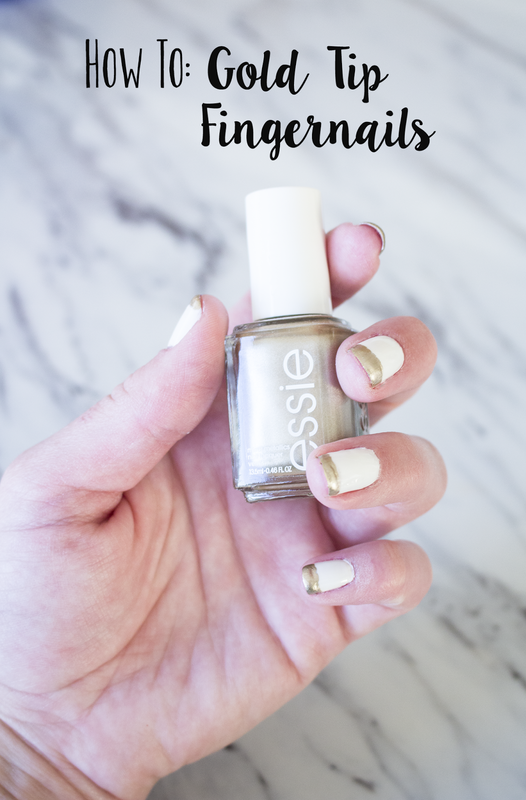 This week, I decided to try something new…gold tip fingernails. 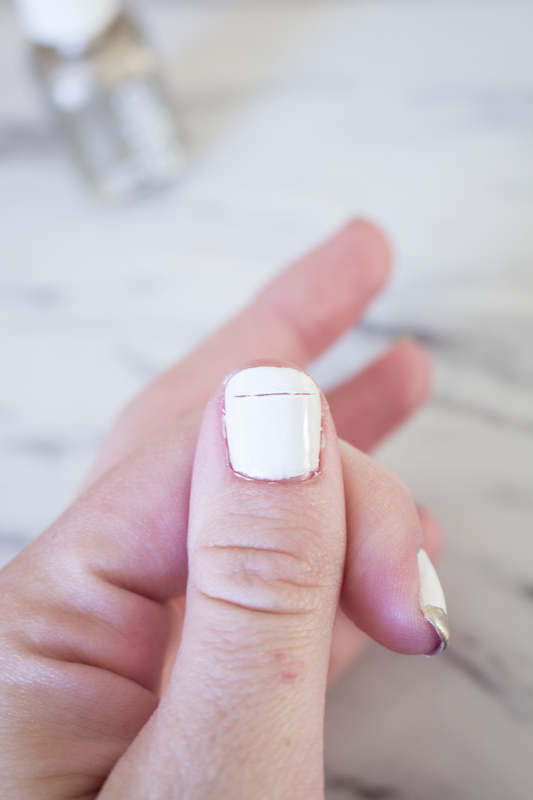 It is a lot easier than I thought it was and I am loving the manicure! 2. 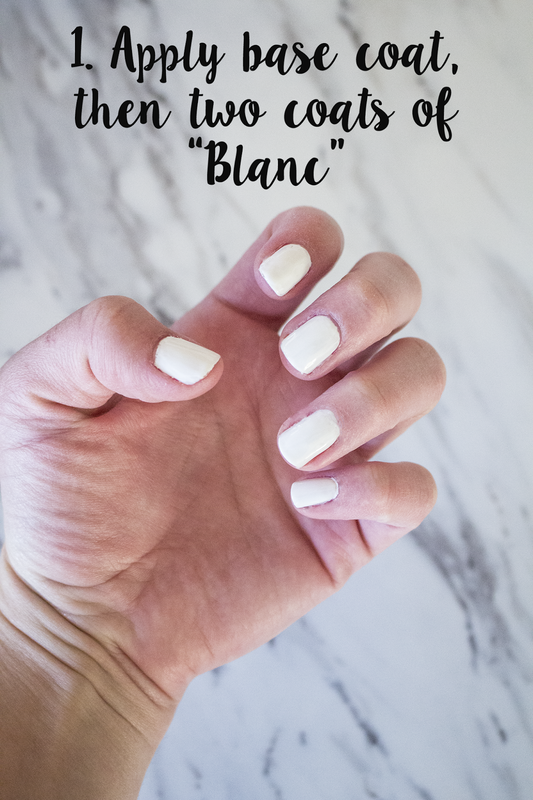 Apply two coats of Essie's "Blanc," or any color that you prefer. 3. 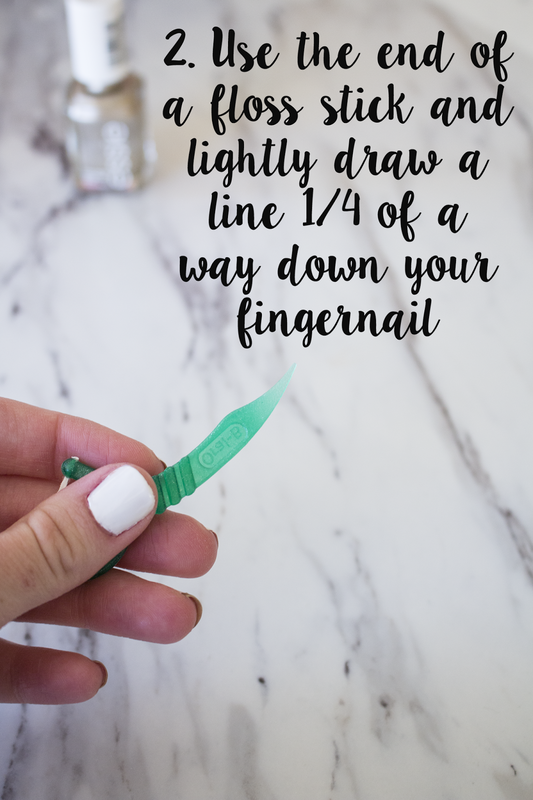 Very lightly, use the bottom of a floss stick and draw a line 1/4 of the way down your fingernail, or however long you want the tips to be. 4. 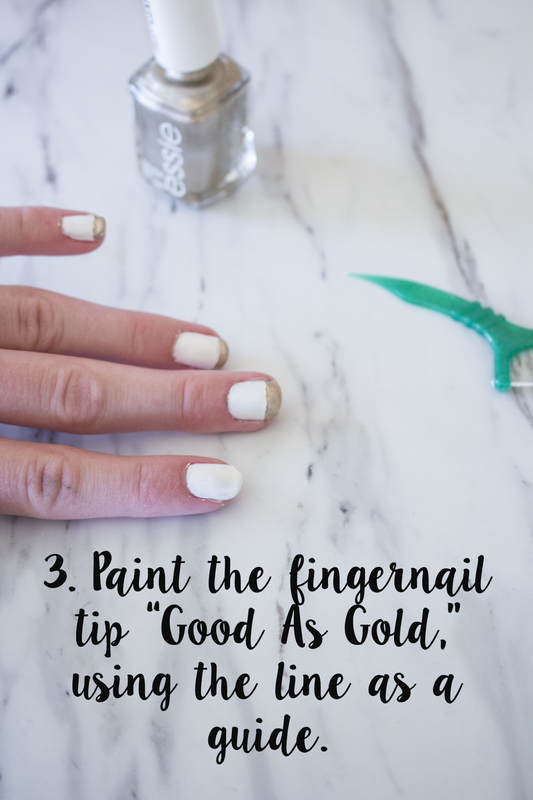 Using the line as a guide, paint with Essie's "Good as Gold," filling in the line as much as you can. 5. Let nails dry and apply gel setter! What do you think of the manicure? Is this something you would try?